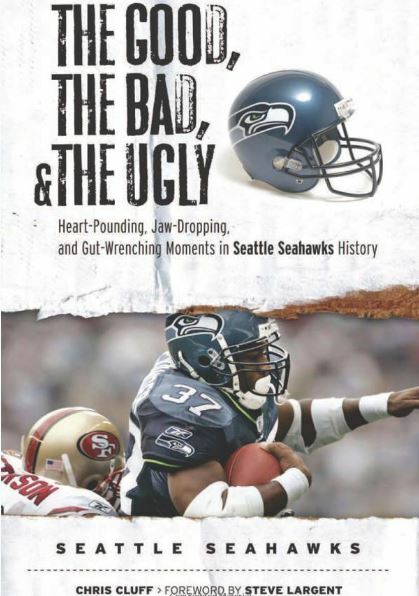 In 2011, Tarvaris Jackson earned major props in the Seahawks’ locker room by playing through a pectoral injury for most of the season. 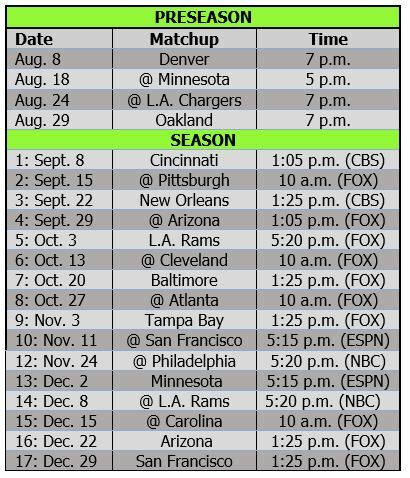 Imagine the locker room cred Russell Wilson is putting together this year, playing through a high ankle sprain that should have sidelined him for several weeks, along with a sprained knee that he said was supposed to keep him out at least four weeks and now his own chest injury. Has anyone ever won Comeback Player of the Year the same season he was injured? 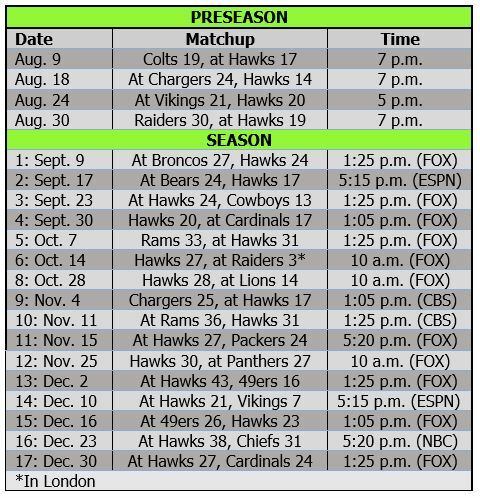 Wilson, showing more resilience than a regenerating five-headed hydra, certainly has been the Seahawks’ No. 1 Tough Guy. Wilson was listed as limited in practice Wednesday and Thursday — the first time that has ever happened. But there should be no concern about him missing the game in New Orleans this Sunday — or about him playing well there. The numbers on Doug Baldwin’s deal came out the other day, and Stephen Cohen of the P-I listed five takeaways. 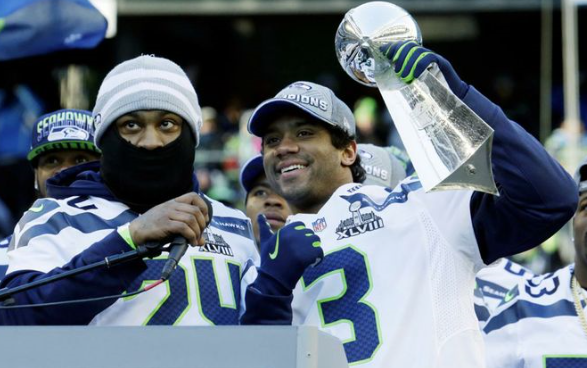 Gregg Bell of the TNT wrote about what Baldwin’s deal means for — and says about — the Seahawks. 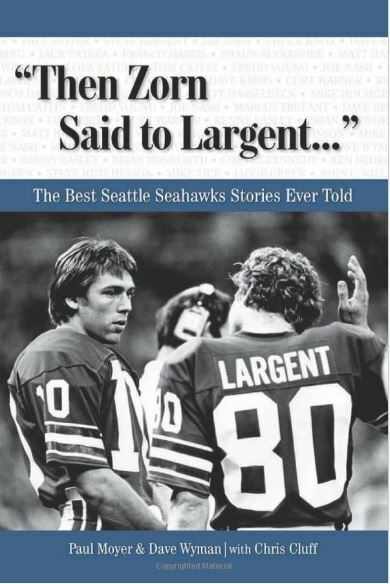 Dave Boling thinks Baldwin has some Steve Largent in him. Tarvaris Jackson claims he is bankrupt, meaning he blew $12 million over the past 10 years. Marshawn Lynch might be retiring, but another very significant former Seahawk — 40-year-old Matt Hasselbeck — might keep going. Some Seahawks apparently think Lynch will change his mind. 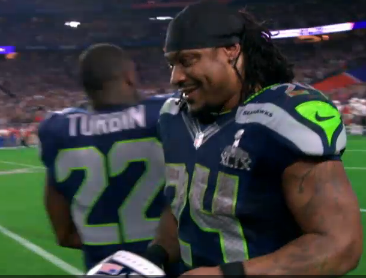 Of course, that would mean he would be playing elsewhere absent a pay cut in Seattle. Danny Kelly of Field Gulls put together a nice retrospective on Lynch. Michael Bennett was honored at a local sports ceremony, and he had a few fun digs for Cam Newton. Fans hilariously think Jermaine Kearse is the Seahawks’ top UFA. They will find out differently soon enough. Ahtyba Rubin’s market seemingly is set at $4 million per year, thanks to Green Bay and Letroy Guion. 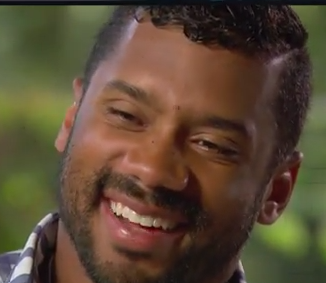 We fully expect Russell Wilson to be the Seahawks’ quarterback for at least the next three seasons, but there is plenty of speculation — including by him — that he might not be in Seattle for much longer. Those comments add to a growing chorus that already is singing Wilson’s swan song in Seattle — whether it’s 2016, 2017 or 2018. Cassius Marsh is working at linebacker, plus other observations from Pete Carroll at minicamp. A reminder that the NBA champion Warriors (co-led by former Cougar Klay Thompson) did it the Seahawks’ way, as Steve Kerr mimicked Pete Carroll’s approach. Marshawn Lynch, Oakland’s favorite son, rode with the Warriors during their championship parade in the city. Lynch said he is happy to see his hometown finally get a pro championship in his lifetime (well, the A’s won the World Series when he was 3). It’s not just the “Oakland Seahawks” anymore, he said. Among the Seattle Times’ impressions from Tuesday, Tyler Lockett and the players’ overall speed impressed special teams coach Brian Schneider. Derrick Coleman says this special-teams group is the best the Hawks have had since he has been there. Richard Sherman had a couple of great retorts for his critics on Tuesday. Cary Williams explains why he prefers Pete Carroll’s Seahawks to Chip Kelly’s Eagles. Anthony McCoy reminded everyone he is still around and has the talent to make the team after missing the past two seasons with Achilles injuries. Is Wilson necessary? And would he hold out? As we wait to see how Russell Wilson’s contract negotiations play out, some are asking whether Wilson is even necessary to the Seahawks and others are wondering whether he might put the Hawks in a bind by holding out. Some argue the Seahawks could have reached the Super Bowl the past two years with almost any quarterback. Others vehemently disagree. Neither group is completely right. And the argument is largely irrelevant anyway. If Jackson leaves, is Daniels the backup QB? The Seahawks want Tarvaris Jackson back as Russell Wilson’s backup and he reportedly would like to come back, but the Hawks apparently are not offering him enough to return. That explains why Jackson is visiting the Miami Dolphins, who are exploring options to replace free agent Matt Moore. 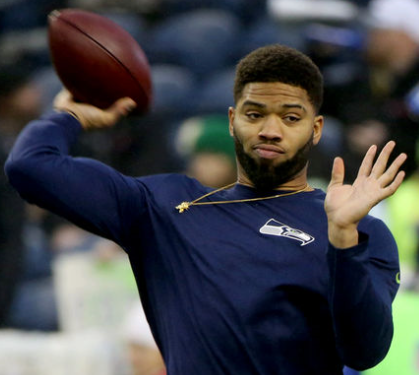 If Jackson ends up signing with Miami, what would the Seahawks do? Three options: (1) Save a roster spot by using B.J. Daniels as a utility QB/KR/WR, (2) sign a veteran, (3) draft a quarterback.